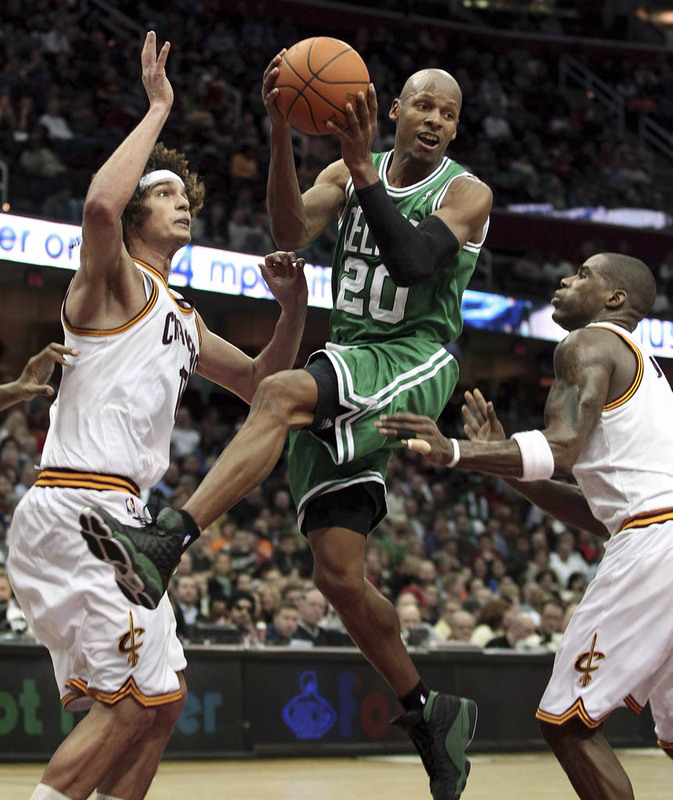 Sugar Ray breaks out another Air Jordan 13 Player Exclusive in Tuesday's win. After shockingly falling to the Cleveland Cavaliers at home on Sunday, the Boston Celtics traveled to the 'Q' on Tuesday night for a back-to-back rematch. Once again, the Cavs put up a valiant fight, outscoring the Cs by 15 points in the fourth quarter to draw close. However, big plays down the stretch by Paul Pierce and Kevin Garnett helped seal the deal on a 93-90 victory. 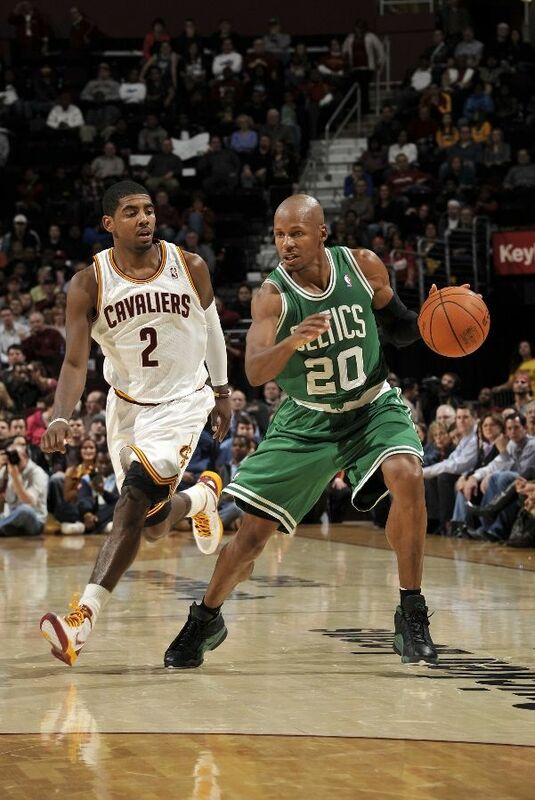 Also making a solid contribution was sharpshooter Ray Allen, who recorded 12 points and 8 assists on the night. While we appreciate the savvy veteran's , it was his kicks that really caught our eye. 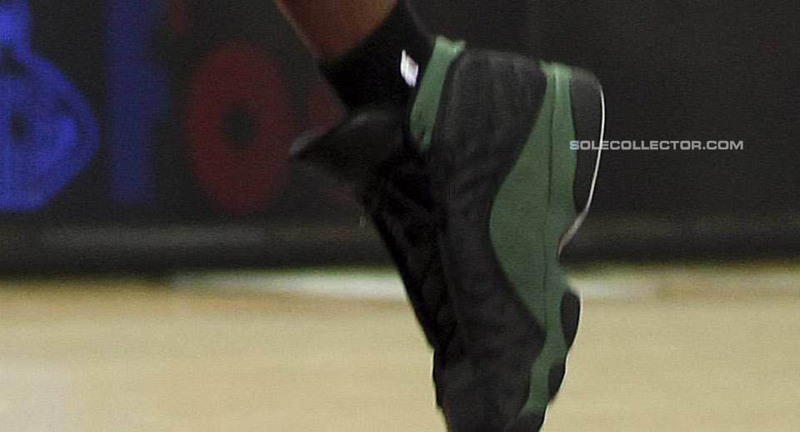 Ray rocked a Black/Green 'Celtics Away' Air Jordan 13 Player Exclusive. The shoes are essentially the popular Record-Breaking Player Edition Ray Allen 13 with a black leather upper and predominantly white outsole. Is this pair better than the Rays that released last summer? Sound off below!